The Subaru Impreza is a compact sedan or hatchback with standard all-wheel drive. While it doesn't sell in the volumes of its rivals, it has steadily gained popularity over recent years as Subaru has fitted it with the most popular features among budget-minded compact buyers. With the Impreza, Subaru has a rival for popular models such as the Honda Civic, Hyundai Elantra, Ford Focus, and Toyota Corolla. 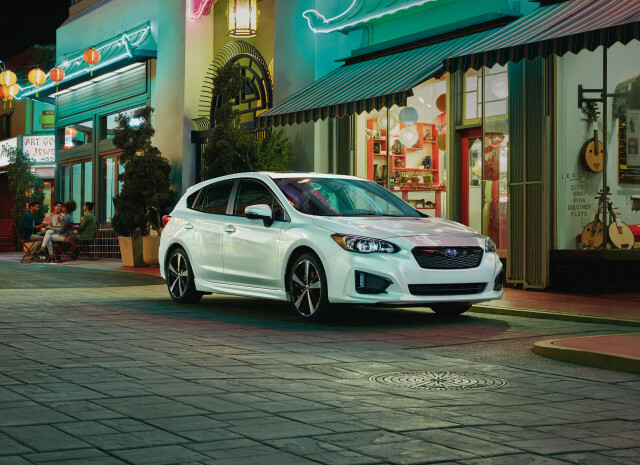 The Impreza is alone in offering standard all-wheel drive and that helps it appeal to different buyers than those best-sellers. The Impreza forms the basis for the high-powered Subaru WRX. The current Subaru Impreza was completely redesigned and production of the compact car was finally moved to the U.S. The car sports the underpinnings from Subaru's new global architecture that'll eventually become the skeleton for the entire Subaru range—short of the BRZ. 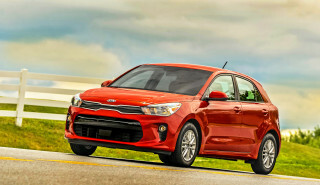 It's the same basic formula that has endured since the beginning: small flat-4 that makes 152 horsepower under the hood, all-wheel drive, sedan or hatch, continuously variable transmission (CVT) or 6-speed manual. Subaru updated the range to include a more distinct Impreza Sport model, which features active torque vectoring. The rest of the lineup ranges from base to premium for a small compact. Although it doesn't have the space that others in its class does, the Impreza's superlative safety rating and cold-weather capabilities should be enough to be competitive. Subaru updated its infotainment system in the Impreza, offering an 8.0-inch touchscreen in top trims. 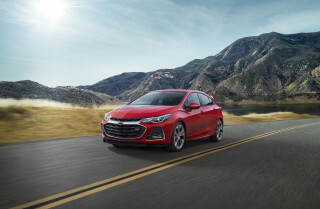 Available active safety gear includes automatic emergency braking, adaptive cruise control, and active lane control—gear made standard on the Limited trim for 2019. The Impreza name itself, which succeeded the DL/GL/Loyale line, is now over 20 years old. The first-generation Impreza, which bowed in 1993, was conventionally styled, and meant to compete head-to-head with the high-volume compacts. The base engine was a modest 110-horsepower, 1.8-liter flat-4, with an optional 135-hp, 2.2-liter engine. In 1995, a two-door coupe model was added to the four-door sedan and five-door wagon lineup, as well as a new Outback Sport model. Subaru first started teasing its success in international rally with the sporty new 2.5 RS coupe, introduced for 1997, and the 2.5 RS sedan, which followed in 2000. With the stronger 165-hp engine, larger wheels, and a sport suspension, along with a big hood scoop and other cosmetic upgrades, the RS models found a strong following from small-car enthusiasts in winter-weather states. The year of most dramatic change for the Impreza was 2002. That's the model year when Subaru brought the turbocharged Impreza WRX and STI model to the lineup, but it's also when the automaker rolled out a thoroughly redesigned Impreza. At first Subaru introduced just a few models: the 2.5 RS sedan and comparable 2.5 TS wagon, and the Outback Sport wagon. Throughout that generation of Imprezas, the car was known for sturdy construction, all-weather capability, and a responsive driving character unlike that of most other small cars. 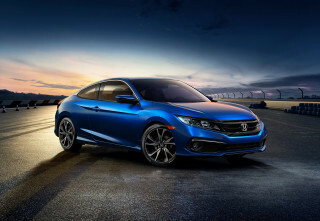 The 4-cylinder engine is torquey and responsive, and steering and handling is excellent, with the engine's low center of mass combined with all-wheel drive providing impressive stability and poise. Downsides, however, include a cramped rear seat and high levels of engine and road noise compared to most other small cars. For 2008, the Subaru Impreza family was completely redesigned, with a significantly larger sedan model and new five-door hatchback replacing the former wagon. With an evolution of the base 170-horsepower, 2.5-liter flat-4 and Subaru's all-wheel drive systems along with 5-speed manual or 4-speed automatic transmissions, the Impreza's powertrains were proven. The 2008-2011 Impreza boasted better standards of refinement, more interior space (its back seat was truly usable by adults for the first time), and doors with window frames reduced noise. Through 2011, fuel economy from Subaru's flat-4 engines remained unimpressive, with base versions of the Impreza returning just 20 mpg city. That changed with the all-new engine in the 2012 models. After a short, 4-year run for its predecessor (2008-2011), the Impreza was entirely redesigned for the 2012 model year. The goal was to create a sleeker look with an all-new exterior style, and to stretch it over a slightly longer wheelbase. This allowed for a reconfigured interior with increased rear-seat space and more cargo room. The engine was all-new at the time, a 148-horsepower, 2.0-liter flat-4 engine that initially delivered EPA highway ratings as high as 36 mpg when combined with Subaru's CVT. The manual gearbox models, while rated better than before, are not quite as economical, largely due to gearing. Subaru also put a lot of effort into refining the interior and upgrading its materials—although wind and road noise initially remained issues. 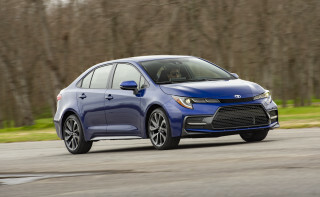 The Impreza's more rugged nature and excellent reputation for durability appeal to diverse buyers, but the ruboff from the WRX models sets it against sportier compacts as well, including the Volkswagen Golf and Jetta lines, and the Mazda 3. The WRX and its even higher-performance variant, the WRX STI, compete with yet another entry, the Mitsubishi Lancer Evo—the only one to match the Impreza's all-wheel-drive, rally-bred heritage. The related XV Crosstrek and XV Crosstrek Hybrid models were launched in 2013 and 2014 respectively. They're effectively Impreza five-doors with taller ride height, beefier wheels and tires, and a handful of hardware upgrades. They promise greater capability on muddy mountain trails, rough gravel roads, and the like—though we find those abilities come at the expense of handling and interior sound levels. Subaru gave the Impreza a host of updates for the 2015 model year. 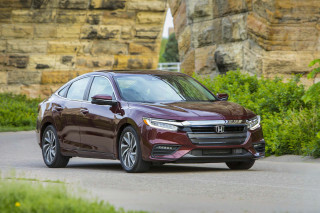 This mid-cycle refresh included new headlights and some other small tweaks that together bring the look more in line with the larger Legacy sedan and Outback wagon. Subaru's camera-based, EyeSight system was made available, and changes were made to better insulate the cabin from road noise. Small powertrain changes also resulted in improved fuel economy. In just one month our 2017 Subaru Impreza completely died!! This happened to our friends too who bought the same car!! Bought a brand new 2016 WRX limited edition and I'm loving it! I love everything about this car except the fact that it wasn't available in WRX trim. Such a great little car, but so under powered from a dead stop. Fingers crossed for a future rerelease of the WRX Wagon.